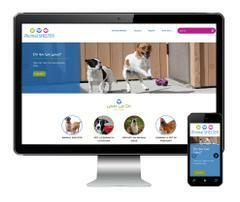 The Fremont Police Department is excited to announce the launch of a new website for the Tri-City Animal Shelter. The shelter houses animals for the cities of Fremont, Newark, San Leandro, and Union City. The new website is designed to offer a user-friendly experience, with easy navigation and practical functionality. Created with the general public’s user experience in mind, the site includes many new features to help residents access information and services quickly. Portal with information on how to report different types of animal-related issues, and direct online reporting of lost and found pets, animal welfare check requests, animal bites, barking dogs, and dead animals. In addition, the new site contains a wealth of information on the different types of services provided by the shelter, as well as information on pet ownership and pet limitation in the City of Fremont. Not only would users find information on the more popular dogs and cats, users can also find pet ownership information on small animals, live stocks, chickens, bees, etc. The website has been under development for the past nine months. Today, the department is proud to launch a site that allows us to better communicate with, educate, and engage the public. The new site has a sharp new look, and a welcoming feel. Its intuitive navigator and revamped search function allow users to easily find information that are relevant to their needs. The website is fully compatible with all browsers and mobile devices, and it also connects visitors to the Shelter’s Instagram and Nextdoor accounts to stay in touch.